Composer, Songwriter and Music Producer Vincent Emmett is proud to announce the release of THE SONG soundtrack by Capitol Records on September 16, 2014. The original album includes original songs penned and produced by Emmett, featuring “The Song-Awaken Love”, performed by the film’s Alan Powell (of Anthem Lights), “Prayer in Open D”, performed by Emmylou Harris and a new version of The Byrds classic “Turn! Turn! Turn!” performed by Ricky Skaggs, Emmylou Harris and Roger McGuinn. In addition to co-writing several of the songs, Emmett wrote the original score for the film. Vince Emmett's musical career arcs from the bluegrass of his Kentucky home to the mountain ranges of Ethiopia. His eclectic music education began at the age of 10 when he performed weekly on a televised country music show alongside Allison Krauss. From his study of the classics at the University of Illinois, he acquired an appreciation for the discipline of all the old masters. When the road beckoned, Vince toured playing gospel music. This led him to a small Kentucky recording studio where he honed his craft under the mentorship of bluegrass legends including JD Crowe, Doyle Lawson, Ricky Skaggs and Tony Rice, which quickly led him to a major label recording contract with Elektra Entertainment, and a publishing contract as a writer with EMI Music Publishing. Emmett later met Kris Kristofferson and was humbled to be asked to score what would be his first feature film, PHAROAH’S ARMY, which also starred Chris Cooper and Patricia Clarkson. Vince composes and produces the scores of episodic and feature length films with his company, Picture Sonics, in his private Nashville studio. His film and TV credits include NOT A FAN, AHA, and the upcoming series GOD FOR THE REST OF US. 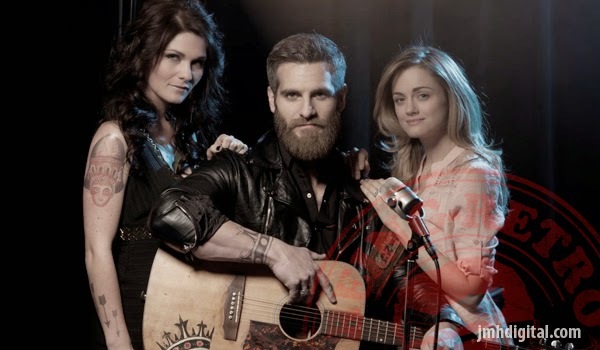 THE SONG follows aspiring singer-songwriter Jed King (Alan Powell of Anthem Lights) as he struggles to catch a break and escape the long shadow of his father, a country music legend. After reluctantly accepting a gig at a local vineyard harvest festival, Jed is love-struck by the vineyard owner’s daughter, Rose (Ali Faulkner, TWILIGHT: BREAKING DAWN), and a romance quickly blooms. Soon after their wedding, Jed writes Rose “The Song,” which becomes a breakout hit. Thrust into a life of stardom and a world of temptation in the form of fellow performer Shelby Bale (Caitlin Nicol-Thomas, NASHVILLE), Jed’s life and marriage begin to fall apart, proving even the wisest of men is a fool for love. 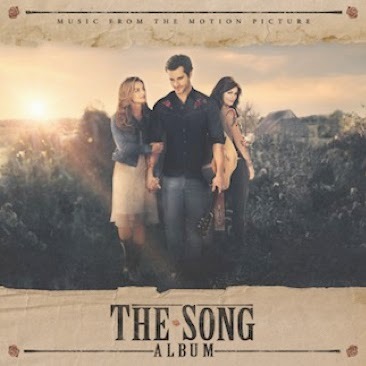 Samuel Goldwyn Films and City On a Hill Studio present THE SONG in theaters on September 26, 2014. THE SONG Original Soundtrack will be available September 16, 2014.